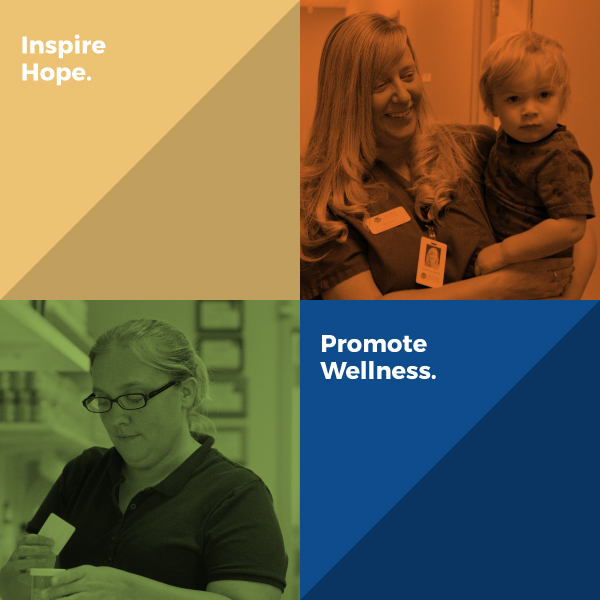 We are a nonprofit health care organization with a vision of full, productive, healthy lives for everyone. Compass Health Network is a nonprofit health care organization that provides a full continuum of behavioral health services and supports as well as primary and dental health services throughout Missouri and Louisiana. Our roots trace back to 1974 when we first began strategizing ways to increase access to behavioral health care in Missouri. Since then, two leaders in the mental health field in Missouri, Jerry Osborne, founder of Pathways Community Health, and Karl Wilson, founder of Crider Health Center, worked tirelessly to build a complete continuum of behavioral health, substance use disorder, primary care, and dental services for those most in need. As those organizations merged in 2014 to include Royal Oaks Hospital, a state-of-the-art inpatient behavioral health facility, today’s Compass Health Network is poised to help its customers achieve full, productive, healthy lives. Compass Health Network takes a person-centered, integrated approach to caring for our customers. This health care model focuses on treating the whole person and is a collaboration of care involving the individual customer, personal providers and, when appropriate, family members. Our efficient, effective services are enhanced by data and technology to ensure customers receive evidence-based care delivered in the right way, at the right time, and in the right place. Serving 45 counties in Missouri and also delivering services in two parishes in Louisiana. Through our network of more than 30 locations, Compass Health Network serves in excess of 180,000 people every year. It is our goal to become a Center of Excellence in service to our communities. As such, Compass Health Network focuses time, energy, and resources on developing and maintaining community partnerships. Our board members represent multiple communities, professions, life experiences, and interests across our geographic service area. Each board member helps shape our organization by focusing on our mission and the people we service. They use their individual strengths to move us forward towards excellence in support of our customers and our employees. Often, the people we serve find it difficult to advocate for themselves. To us, being a Center of Excellence includes representing our customers’ interests at local, state, and national levels. Senior level staff make bi-annual visits to Washington D.C. and frequent trips to Jefferson City to meet with legislators. They discuss pending legislation and share customer stories about what works and what doesn’t work, especially for our most vulnerable neighbors – those with both a serious and persistent mental illness that also have chronic physical illnesses. Our Mission is to “ Inspire Hope. Promote Wellness.” To that end, we work continually to help improve the mental health, substance use disorder treatment, dental, and primary health care system.